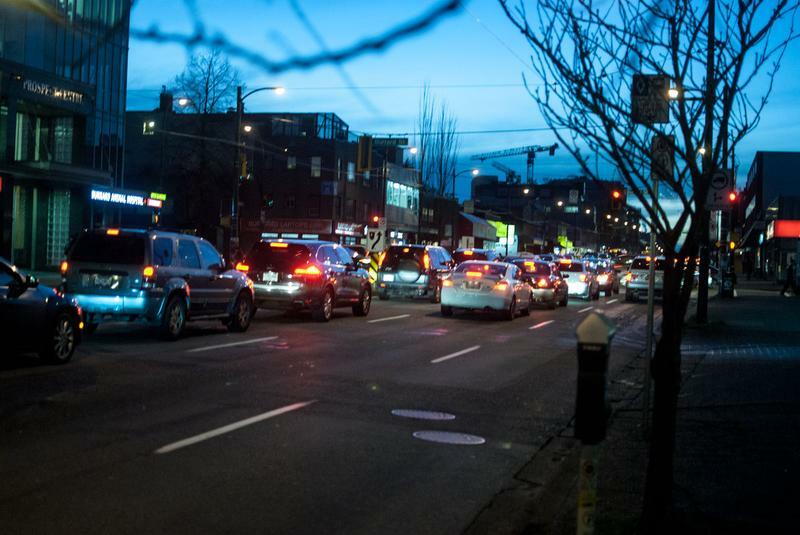 The 99 B-Line being full to bursting most of the time is a fact of life for many UBC students. The bus route services the Broadway Corridor, which happens to be one of the busiest bus corridors in North America. Voting in favour to construct a metro system for the route, which Vancouver failed to do last year, would have alleviated some of these issues. Kathleen Simpson, external advocacy commission vice-chair in the AMS VP External Office, believes that a solution must still be pursued. With the failure of the recent transit referendum, the lobbying undertaken by the AMS VP External Office at both the provincial and federal levels of government has become even more critical. Simpson has a positive outlook on the transit project, which has become a key portfolio within the VP External Office. Joyce Murray, federal member of parliament for Vancouver-Quadra, agrees with Simpson’s sentiment and stressed the importance of more efficient public transportation in that area. While most levels of government agree on the importance of the transit line, there hasn't been much consensus on funding models or what a solution will look like. However, Simpson said she believes the project is in a good place as relevant stakeholders are actively speaking about the project. The AMS is pushing for a “subgrade” solution or a subterranean metro line similar to the Canada Line, although they are open to other options including an above-ground Skytrain or light rail. The length of the line is also under contention, although Simpson said her office will continue pushing for it to extend all the way to UBC. For large projects like the UBC Broadway line, timing can be hard to estimate as evident with the delays that plagued the Evergreen line that will eventually link Burnaby, Coquitlam and Port Moody to Metro Vancouver. Consequently, Simpson's office will not be setting a timeline. However, Simpson remains hopeful about overall feasibility and likelihood of the project coming to fruition. “Things only continue to heat up and get more and more active. Everyday I feel more optimistic about the future of the project,” she said. With files from Sophie Sutcliffe.